The Fujifilm Instax Mini 70 instant camera delivers beautiful, well-exposed photos automatically, plus plenty of other modes to help you get more creative. Even better, it takes amazing, Instagram-ready selfies. People born in or before the early '90s are sure to have fond memories of the instant camera. Regular cameras required a trip to get film rolls developed, but instant camera photos developed right before your eyes (often with a good shake). They looked cool and captured moments quickly, so everyone could take the memories of the day home that same day. As is the way of the world, the digital camera revolution made instant cameras obsolete. Sure, digital cameras don't give you an instantaneous physical copy of the photo, but you can take a whole series of photos and choose the best to print once you're back home. Polaroid stopped manufacturing instant cameras and the chemical film the company was known for in 2008. Yet as Instagram came onto the scene, the old grainy, filtered photo look came back into fashion. And until recently, the Instagram app icon resembled one of those old-fashioned Polaroid cameras. The Impossible Project, which bought the last Polaroid instant camera factory as is and came up with new formulas themselves, is largely credited with keeping the analog instant camera alive. 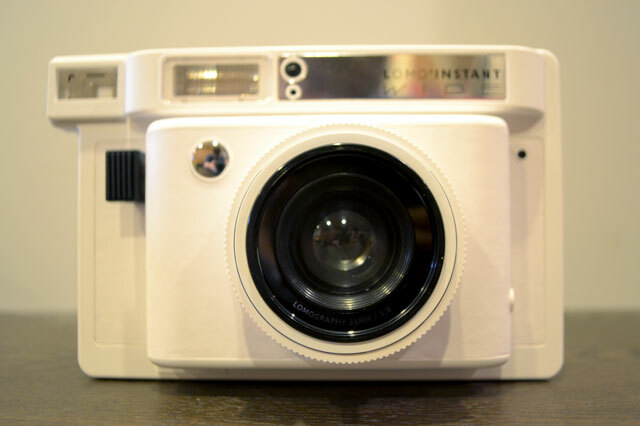 But other companies, including good ol’ Polaroid, have brought the instant camera back by manufacturing their own models — some with new tech, as well. If you’re looking to up your hipster cred or find a new creative photography outlet, our "Best Of" list is the list you’ve been looking for. We tested the Fujifilm Instax Mini 70 instant camera ($103.56 on Amazon), the Fujifilm Instax Mini 90 instant camera ($121.99 on Amazon), the Lomography Lomo’Instant Wide instant camera ($257.99 on Amazon) and the Polaroid Snap Instant Digital Camera with ZINK Zero Ink Printing Technology ($99.99 on Amazon). The tests we ran focused on five types of photography: selfies, landscape, low light, macro and indoor. 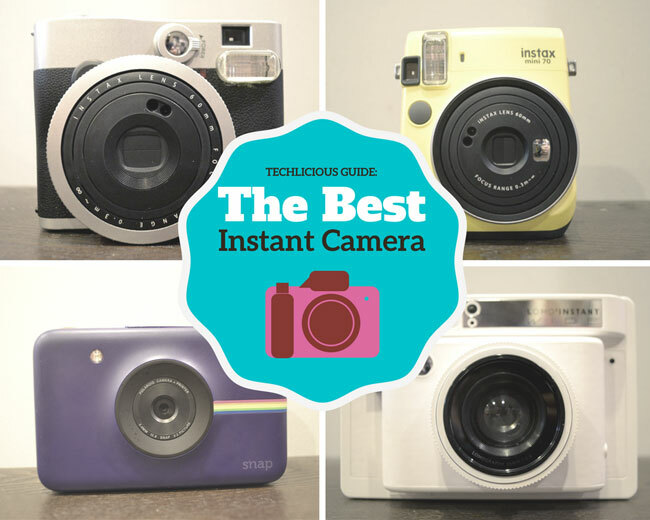 We chose these cameras because they are the newest and most accessible models from the brands that have thrown their hats into the instant camera market ring. The Lomo'Instant Wide is big and unwieldy, especially if you're also carrying its extra lenses and filters. The Mini 70 and Mini 90 are similar in shape, although the positions of the shutter buttons on the Mini 90 are easier to access. The lightweight Snap is about the same size and weight as a point-and-shoot camera. 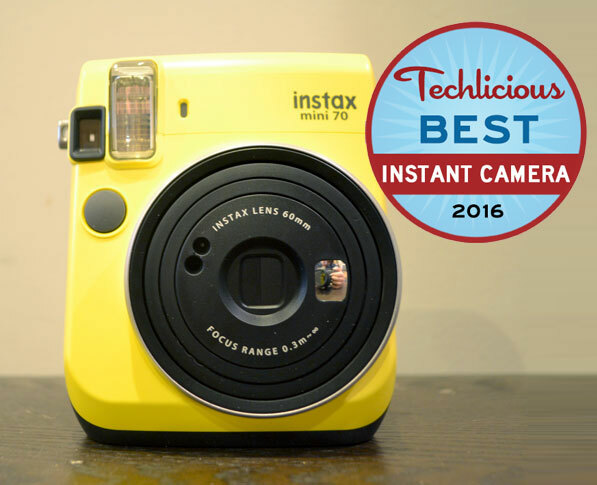 In the end, we chose the Fujifilm Instax Mini 70 instant camera as the best of the best due to its ease of use and photo quality. The runners-up offer great features, too. 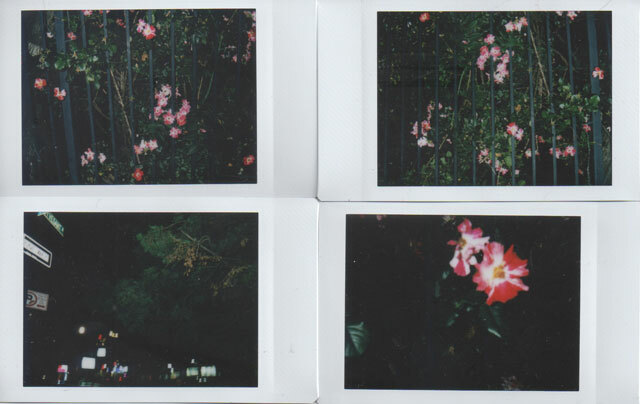 Check out our methodology and results below, plus photo highlights from the Instax Mini 70's tests. In this test, we took selfies both indoors and outdoors using the dedicated selfie modes, if they were available. We then compared the print quality and exposure of the shots, both of which are especially important in photographs of faces. Out of all of the cameras we tested, the Mini 70 is the best for selfies. The Mini 90, Lomo’Instant Wide and Polaroid Snap Instant produced exposures that were often either too dark or washed out, but the Mini 70 almost always got the exposure right. The Mini 70 made it easy to frame shots using the included selfie mirror next to the lens. Both the Mini 90 and the Lomo-Instant Wide cameras also feature mirrors for framing. A dedicated selfie mode on the Mini 70 allows the lens to focus based on the distance people usually hold their cameras while taking selfies. The Mini 70 stood above the rest thanks to a Hi-key Mode that lets you take photos that overexpose skin, giving the photos a high-fashion look. The Mini 90 was the clear runner-up in this contest, taking photos that were slightly underexposed compared to those of the Mini 70. Even after settings tweaks including exposure and zone focusing, the Lomo’Instant Wide camera’s selfies came out blurry more often than not — a huge drawback. The Polaroid Instant Snap’s selfies were adequately focused, but the print quality seemed muddled and blurry and left the photos darker than the scenes actually were. Sharpness is the name of the game in landscape shots. While macro (or close-up) photography uses a shallow depth of field so that the background appears blurry while the subject is focused and clear, landscape photography uses a deeper depth of field to capture all the detail of the scene with minimal blurriness. Photographers often use a shallow depth of field when photographing portraits so the subject is in focus and the background is blurred out, and they use a deep depth of field when photographing mountain scenes so very little is blurry and all the detail is included. 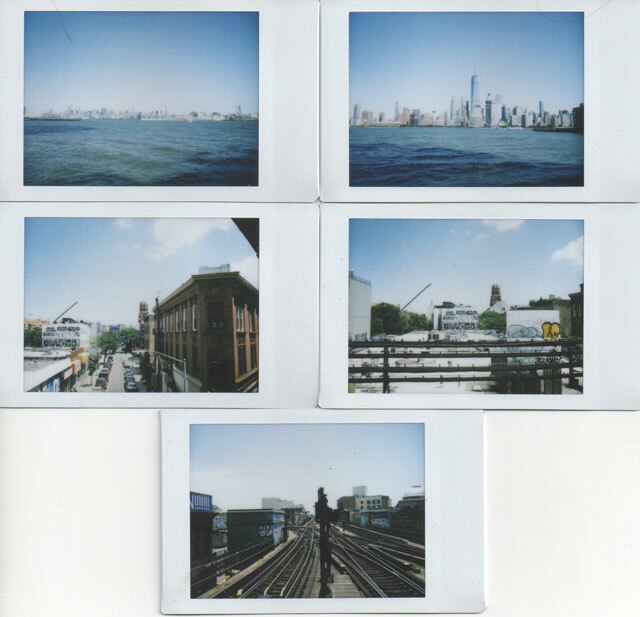 In this test, we took outdoor photos of the Manhattan skyline on a sunny day. All the cameras were able to capture the detail of the scenes to different extents. The Polaroid Snap Instant showed most details in focus, although the printed image itself was a bit muddled and dark. 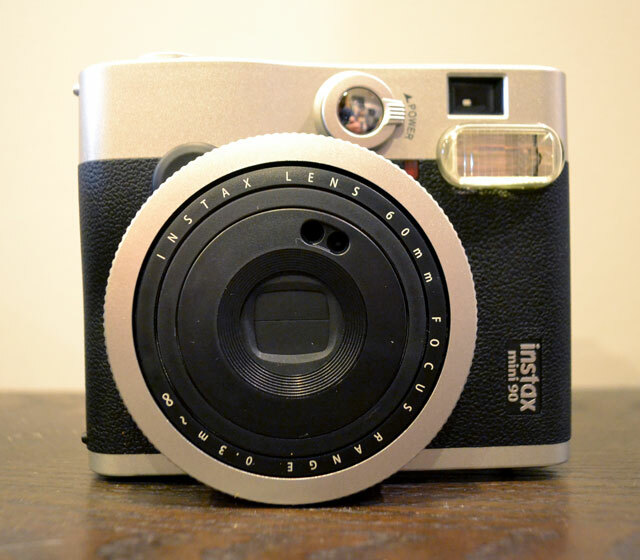 The Instax Mini 70 and Mini 90 as well as the Lomo'Instant Wide showed similar landscape photography capabilities. They did pretty well on their preprogrammed landscape modes (in the case of the Instaxes) or the wide- and ultra wide-angle lenses and focusing (in the case of the Lomo’Instant Wide). The Lomo'Instant Wide's wide- and ultra wide-angle lenses, sold only in the more expensive Lomo'Instant Wide+Lenses pack, showed much more of the scene than the Instax Minis. Differences between these cameras are mainly subjective and come down to personal preference. I prefer the Mini 70's shots because the automatic exposure provides a much better quality yet still vintage look. However, it was nice to also have the option to shoot wide- and ultra wide-angle photos with the Lomo’Instant. Low-light photos are some of the most difficult shots to take. Without powerful flashes, long exposure times or a fast lens, photos can turn out dark or even completely black. In our low-light test, we used all four cameras to shoot scenes outside at night at a variety of distances. We shot a flowering plant from about a foot away, a neighborhood lit by businesses and street lights about seven feet away, and an unlighted community center twenty feet away. All of the cameras produced better photos when the flash was on and the distance from the camera to the object was less than seven feet away. All the photos of the neighborhood community center from twenty feet away produced pure black pictures, which is a real problem for instant photography when you have a limited amount of expensive film. We were impressed by the photos of the flowers from about a foot away. The camera flashes lit the scene just enough, without overexposure from the reflection of the flash back to the lens that's so common when you're using flash so close to the subject. The street scenes came out well, too. While the flash didn’t necessarily reach the buildings our lenses were trained upon, there was just enough light within the scene to show the businesses and the street in detail, and the flash was able to light up the closer street signs in the picture. We were impressed by the Bulb Mode of the Lomo’Instant Wide and the Mini 90, which keeps the camera’s shutter open for a longer amount of time to create a longer exposure. (The Mini 70 and Polaroid Snap don't have this mode.) As the shutter remains open longer, the amount of light captured by the camera increases, leading to greater amounts of detail in night and low-light scenes. This bulb mode comes in handy for light-painting techniques and shooting movement over time of lighted objects like cars. Smartphones can’t do that natively yet, so you have to rely on third-party apps that might not offer the best user interfaces. While the Mini 70 doesn't have a bulb mode, once again it reigned supreme in our test because its exposure and focus came out just right. For our macro photography tests, we took close-up photos indoors of a brick wall and of a Christmas light bulb in front of the brick wall, as well as photos of jewelry arranged in a bowl. 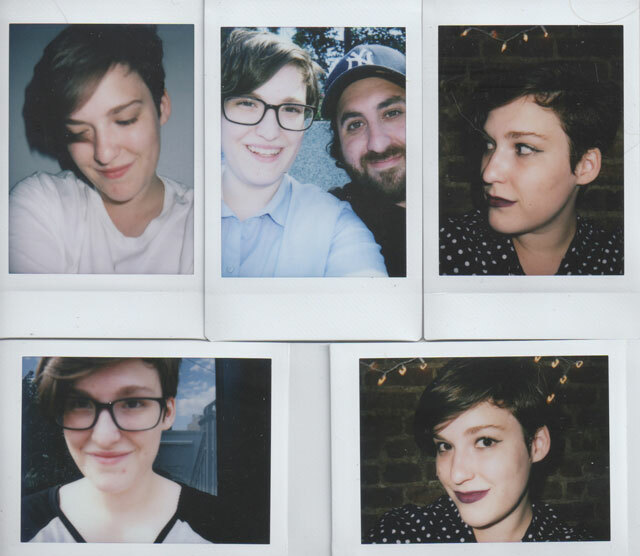 Truth be told, none of the instant cameras we tested produced amazing close-up photos. Because you don’t get much focus control with an instant camera, it’s hard to know how far away or close to an object you should place the camera. The Polaroid Snap Instant doesn't have a dedicated macro mode. Even using the manufacturer's recommended distances, most of the close-up photos we shot with all of the cameras turned out blurry. Another issue these instant cameras struggle with during macro photography involves exposure. Because the flash often deploys automatically, photos end up incredibly washed out. 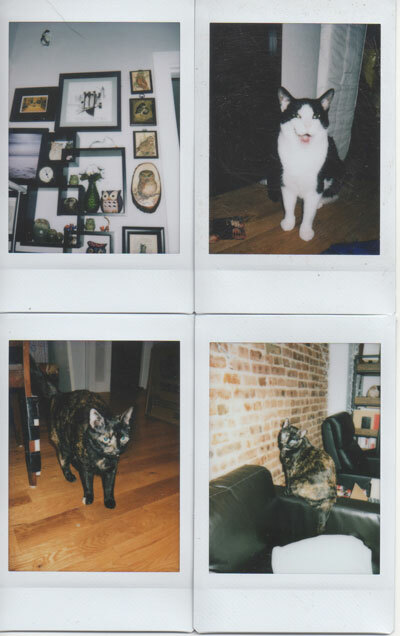 In the instant cameras with a controllable flash (the Instax Mini 90 and the Lomo’Instant Wide), no-flash images indoors usually turned out too dark. While the Polaroid Snap Instant’s photos came out more balanced in exposure, the ink itself made the resulting photo darker. That said, the Mini 70 focused best and created the most balanced photos despite not allowing user to control the flash. 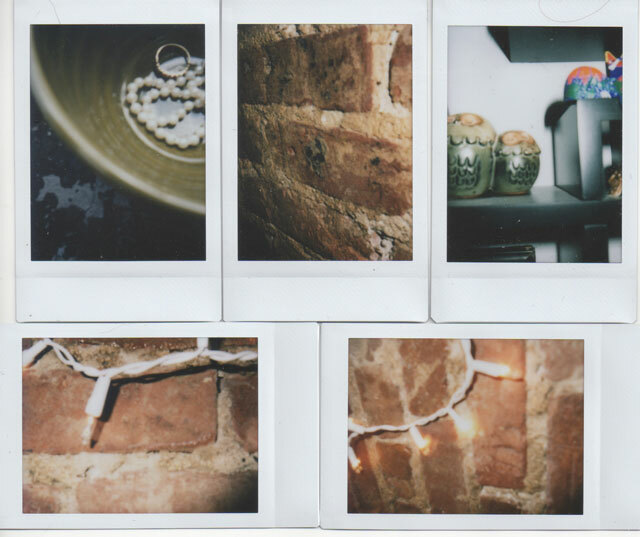 Photos of an indoor brick wall and a bowl of jewelry outside using the Mini 70 came out well in our tests. While the focus was a bit muddled (less so than those taken by the other cameras), the Mini 70 created a more artistic shot than the others, which means less wasted film. Indoor photography is always a mixed bag because lighting is so important. White fluorescent light can leave you with colder-looking photos, yet warmer-toned light often leads to underexposed, reddish-orange shots. Neither of those options is desirable, so we made sure to test all of the cameras in both indoor lighting conditions. We conducted the white fluorescent light tests by photographing a gallery wall. We conducted the warmer-toned light tests by photographing a cat. All of the cameras we tested produced similar results in the white light test. The exposure matched the white tone of the light, although once again, the Polaroid Snap Instant's printing was muddled. It was in the warmer light that some of the cameras had issues. The Lomo'Instant Wide produced incredibly orange photos in this test, which overshadow the actual subject of the photographs. The flashes of the Instax Mini 70 and Mini 90 cameras compensated for the warm-toned light by cooling it down and making the colors of the photos more natural. The Polaroid Snap Instant did a good job with the exposure in the warmer lighting, but the photo was dark. The Fujifilm Instax Mini 90 has a greater amount of modes and flash control than the Mini 70, although it is the older of the two Instax Mini models we tested. As such, the exposure and focus isn’t as fine-tuned as the Mini 70's. The battery on this model is rechargeable, a bonus since no one wants to search for hard-to-find camera batteries. But a lack of a dedicated selfie mode brought about the camera’s downfall in our tests. A 20-shot pack of Fujifilm INSTAX Mini Instant Film costs $11.49 (around 57 cents per shot) on Amazon. The Lomography Lomo’Instant Wide offers so many variable modes and creative options, especially if you buy the Combo Package, which makes this camera great for seasoned photographers who can pick the right exposure for a photo in their sleep. But beginners most likely won't be able to pick up the Lomo’Instant Wide to shoot photos at a party and receive amazing results. With the Lomo’Instant Wide, practice makes perfect. Unfortunately, with Fujifilm Instax Wide Film selling for $22.95 for 20 photos ($1.15 per shot) on Amazon, experimenting isn’t economical. The camera’s huge size makes carrying the camera a hassle. The Polaroid Snap Instant on the whole produces pictures that work well. Unfortunately, there are few modes, and the photos often look dark and muddied. You can go digital with this camera, though, with up to a 32 GB MicroSD card. The photo paper this camera uses is the least expensive of all the types for our test cameras, with a 30-sheet Premium ZINK Paper package selling for $11.50 on Amazon (38 cents per shot). 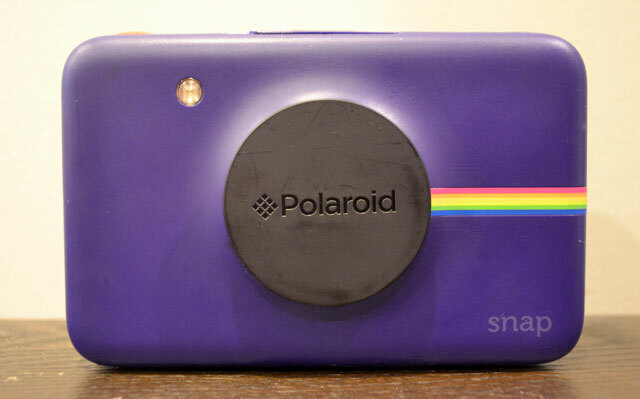 The Polaroid Snap Instant would work great for kids just getting into photography because they get both the instant gratification of a printed photo and a digital photo to share on their social networks. The camera design is cool and retro too, with a variety of colors to choose from. Because most users want the novelty of taking selfies with beautiful, instant results and real ease of use, we picked Fujifilm’s Instax Mini 70 as the Best Instant Camera. While users can’t control the flash on the Mini 70, more often than not, the camera produced well-exposed and well-focused photographs. The Mini 70 has fewer customization options than the Fujifilm Instax Mini 90 and the Lomography Lomo’Instant Wide; for someone who wants to pick up an instant camera and start shooting (and waste less expensive instant camera film), it’s a great choice. A 20-shot pack of Fujifilm INSTAX Mini Instant Film costs $11.49 (around 57 cents per shot) on Amazon. Printing is way too expensive. Printing is way too expensive. It’s akin to printing with an inkjet printer way back in the day. It costs too much to print photos w/o knowing ahead of time if the shot will be worth it. Try shooting toddlers who can’t keep still. The film isn’t cheap, but it has it’s place. I definitely wouldn’t use it to shoot toddlers or anything in motion, but for posed shots of friends (especially parties, weddings, bat mitzvahs, etc.) or nature shots instant photography offers a quick and easy way to get physical prints. The fact that these are coming back makes me happy. When I was a kid everyone had a polaroid camera. My family has many (faded) polaroids in the family album.